We have been having unusually mild weather lately with temperatures in the 50’s. That means the bees are out, but Spring is still a long way away, and there’s really not much out there to eat. 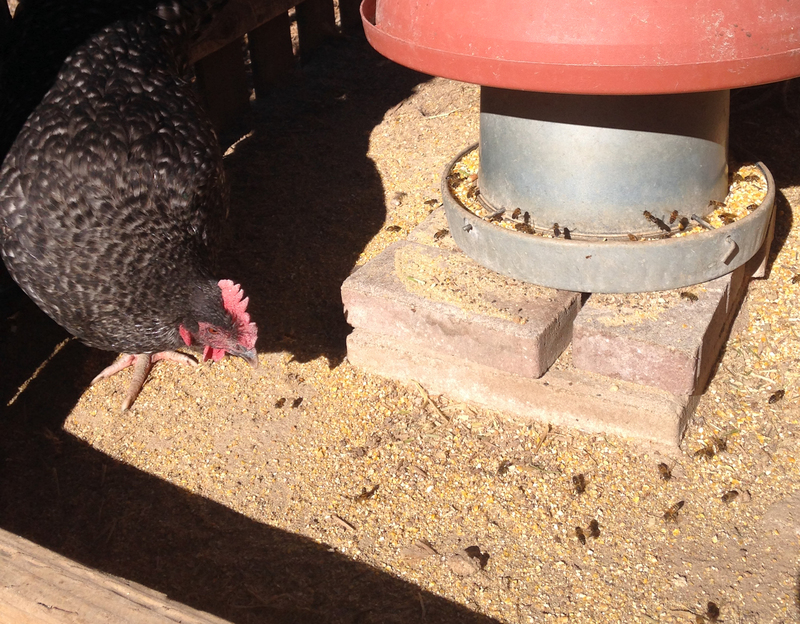 I noticed that my bees were all over the chicken feeder… I had never seen this before. Tuns out they’re just getting a little mid-winter protein snack from the fine particles in the chicken feed! I figured it was time to go into the hive and check on the bees. Much to my relief, the colony made it though the coldest part of winter and the queen is alive and laying brood. I noticed that she’s looking a bit raggedy, and at age 3 probably past her prime. I could replace her with another queen but I’d really like to see what will happen naturally. The workers will notice that she is not as strong and will replace her. This is called “supersedure”. 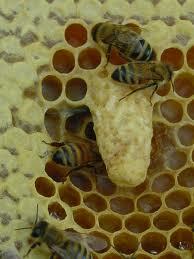 They do so by putting an egg into a special queen cell and feeding it royal jelly. Since only one queen can occupy the hive, the workers will kill the old queen by “balling” or clustering tightly around her and stinging her. But I have another plan…… I’ll check the hive often now, and if I see that they have built a queen cell and capped it ( meaning the larva is pupating) I will remove the comb contain the queen cell and put it and a large number of bees from the original hive into a second hive. They will sense the developing queen and will stay with her until she hatches out. The new queen will fly out, mate with local drones and return to the hive. Now I will have two colonies . The rest of the bees will stay with the old queen until she dies or they again try to replace her . Well…. that’s my plan. Stay tuned!